Nutone Broan® SmartSense® QT Series Ultra silent ventilation fan with LinkLogic control, eliminates wiring controlling system. The ventilation fan with motor, delivers continuous operation and has a air flow of 110 CFM. It has a voltage rating of 120-Volts AC, current rating of 0.3-Amp and power rating of 31.4-Watts. 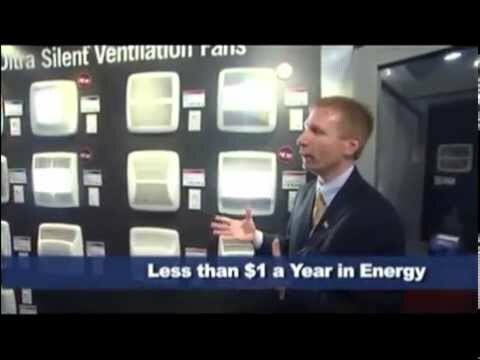 The 0.7-sone ventilation fan offers very silent operation. The hanger bar system makes installation easier and flexible. It is compatible with Broan® automatic make-up air dampers. 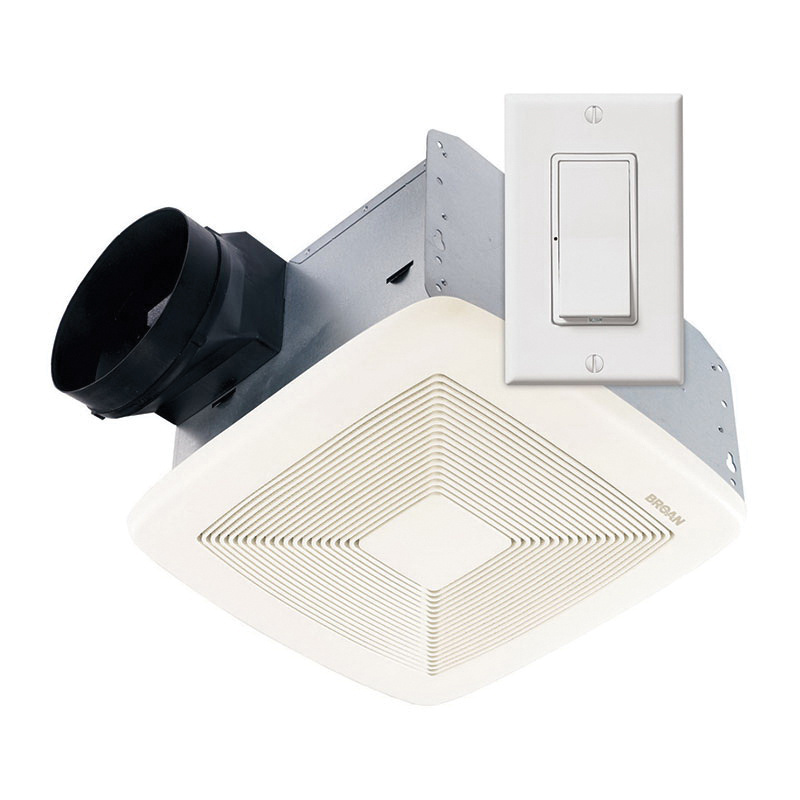 The ceiling-mount ventilation fan with 6-Inch ducting, maintains sound and CFM performance ratings. The housing measures 10-1/2-Inch x 11-3/8-Inch x 7-5/8-Inch. The white colored grille measures 13-Inch x 13-3/4-Inch. It is suitable for rooms up to 105-Sq-ft. The Humidity sensing fan meets UL, Energy Star, HVI, ASHRAE 62.2 and CALGreen standards.